My love of reading never had to survive my childhood. My love of reading never had to survive well-meaning teachers, at least not when I was young. When I grew up, teachers weren’t really that bothered with what we read, or how much we read every night, just that we read. That we grew. That we became better. They didn’t ask us to keep logs, to record minutes, to stick post-it notes whenever we had a thought. They didn’t tell us which box to pick from or give us a label. Instead, they gave us a book, pointed to a chair, and they told us to read. Come up for air when you are done. Some may shudder at the lack of instruction that I was put through as a young child, after all, where was all of the teaching? And yet within this brutally simplistic approach; read, read, read and then please read some more, was an immense amount of wisdom. Kids need time to read. Kids need choice. Kids need to be allowed to self-select books and then when they are done reading they should be asked to get another book. So if we hold these truths to be self-evident, I wonder, how has so much of our reading instruction gotten so far off track? I think we teachers are part of the problem. I think our silence while we seethe inside at the new initiatives being dictated to us means that we are now complicit in the killing of the love of reading. I think we have sat idly by for too long as others have told us that students will love reading more if we limit them further and guide them more. We have held our tongue while practices have been marched into our classrooms disguised by words like research-based, rigorous, and common-core aligned. We have held our tight smiles as so called experts sold our districts more curriculum, more things to do, more interventions, more repetitions. We have stayed silent because we were afraid of how our words would be met, and I cannot blame any of us. Standing up and speaking out is terrifying, especially if you are speaking out against something within your own district. But we cannot afford to stay silent any more. With the onslaught of more levels, more logs, more things to do with what they read all in the name of deeper understanding, we have to speak up. Reading is about time to read first. Not all of the other things. And if we are sacrificing time to read to instead teach children more strategies,, then we are truly missing the point of what we we should be doing. So I declare myself a reading warrior, and I believe you should as well. No more reading logs to check whether kids are reading. No more levels used to stop children from self-selecting books they actually want to read. No more timed standardized tests to check for comprehension. Being a fast reader does not mean you comprehend more. No more reading projects that have nothing to do with reading. No more reading packets to produce a grade that stops students from talking about books. No more rewards; prizes, stickers, lunches with the principal. We cannot measure a great reader by how many pages a school has read, so stop publishing it. Don’t publish your test scores. Don’t publish your AR levels. Publish instead how many children have fallen in love with a book. How many recommendations have been made from student to student. Publish how many books have needed to be replaced because of worn pages. Publish that, and be proud of the teachers that dare to speak up to protect the very thing we say we hold sacred. Be a reading warrior, because for too long we have hoped that the decisions being made are always in the best interest of a child when we know at times they are not. No child is helped when we protest in silence, when we protest in the teacher lounge, or in our homes. We have to find the courage to speak up for the very students we serve. We have to practice being brave. We have to allow students to read books that they choose, to give them time to talk about their books rather than fill out a packet, and to allow them to self-monitor how much reading they are doing and then believing them when they tell us their truth. It is time for us to stand up and speak up. It is time to take back our reading instruction and truly make it about what the kids need and not what others tell us that they need. One voice can be a whisper or a protest, we make the choice when we decide to make a difference. Are you with me? Excellent comments, thanks for sharing! Thank you for leading the charge! I know in my heart that my second graders love of and passion for books far surpasses their STAAR Reading Assessment scores. Love of reading and the joy it brings most certainly cannot be quantified. With you! 🙂 I gave up nightly reading logs a few years ago and haven’t missed them at all. It’s all about choice and time! I tried your approach this year, which I value on so many levels. At the beginning of the year, I sent out a newsletter touting the simple act of reading daily. I stressed how important it was in so many ways, most importantly in building empathy in our kids. I asked parents whether or not they would support their child reading at home without reading logs, projects and book reports. *shudder* They loved the idea and supported it–signed the letter, even. Do you know what happened? No change.The kids who usually read, read. The ones who didn’t, didn’t. However, that is exactly what happens with the traditional reading log/book report/project approach. I would say a huge part of kids not reading is what happens at home to support it or not. Secondly, the school’s approach to supporting reading is almost as important. Teacher is third on that list. My school does not support reading and admin has gone so far as to say that reading in enrichment classes is “not important.” We haven’t a full-time librarian, and the part-time lady we did have was often pulled out to do locker duty, so we never knew when we could bring our kids in. So…kids didn’t read. They didn’t like reading. I wonder if anyone has some idea as to what to do to turn this around. I am certainly game! Reading is awesome! I am with you!! I will choose to whisper at this point. Need to create a reading warrior widget button! I am a reading warrior. My daughter loves reading but hides the amount of books she reads from her teacher because she would have to write a response or log entry about each of them. She showed me how useless all that ‘evidence of your reading’ was. I work to get my students hooked on books, and yes that means giving loads of time for just sitting and reading. In complete agreement with you!!! I wonder if there is any research that documents how recent reading instruction/intervention has actually stagnated if not hurt some reading development. Kids learn to read mainly by reading a lot. I’m with you on this, and think all of the counting and measuring and tracking does more harm than good. What I hope you’re not saying is that we should abandon all reading instruction or that we should leave kids completely to their own devices all of the time. There’s a place for teaching strategies. We also need to find ways to encourage (dare I say “motivate”?) kids who are reluctant readers to dive in and read. Merely making the time and space and opportunity and a collection of books is not enough in my opinion. 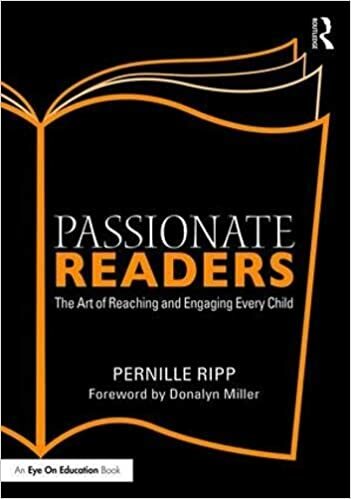 I think all of the things you mentioned in this post probably originated from good intentions: teachers who were looking for ways to get everyone to want to read. As often happens, we lost the meaning and got hung up on just the mechanics of “read a million words in your leveled text”. 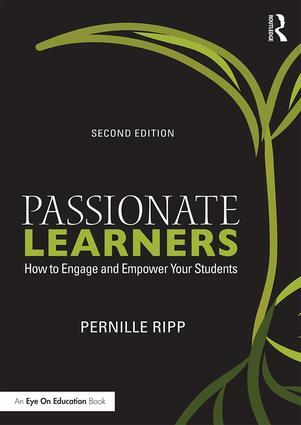 I am definitely not saying that we should abandon instruction, I think instruction is a wonderful thing, it is all of the other things we are doing that go beyond instruction that become restrictive to developing readers. Thank you for making me clarify this! Yes! I declare myself a reading warrior! Thanks for speaking out on this. Over the eight years I have been teaching in the elementary grades, I have established a classroom library with close to 1000 books (never really counted though). I have been inspired by many great educators that also speak out about the importance of choice and freedom in reading. Yes, instruction does still have a place to help develop strong readers. But, if we continue to “mandate” what they read and require whole class assigned reading of higher level texts, we will loose many readers. Standards can be covered in a variety of read alouds that the teacher can choose based on how well he or she knows their class and in small student chosen literature circles and independent student conferences. I say you create a Reading Warriors t-shirt! I would buy it!! I’m in! Even though this is a scary proposition because so much of what is happening in schools is as you describe in your post. I have been a silent warrior in my school the last couple of years though this year I felt empowered to speak up more in support of my Ss as readers and thinkers. Can’t wait to continue on this path during this school year.